← From the lap of luxury to the joy of service … one doctor’s journey. I’m a big anti-war person and have been protesting for peace for about 40 years. But that doesn’t mean that I don’t have the highest respect for anyone who has chosen to serve in the military, or paid the ultimate sacrifice in giving his or her life for this country. 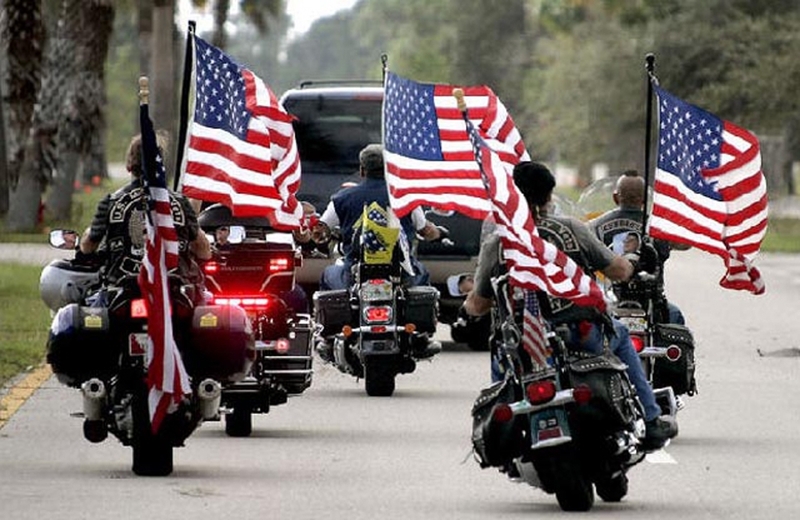 Which is why on this Veterans’ Day, I’d like to honor the Patriot Guard Riders, the dudes who keep the faith and show up at any military funeral where they are invited by the family. 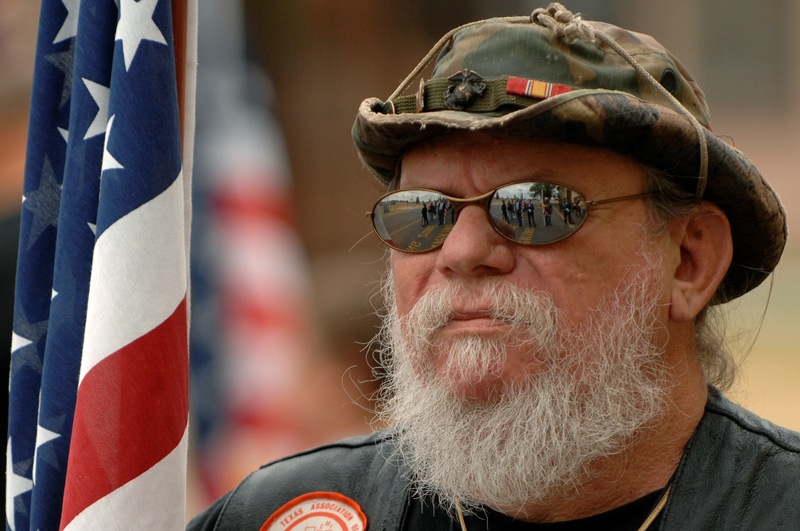 Their only mission is to honor the men and women of our armed forces, to show the deepest respect for the families of fallen heroes, and to shield mourners from interruptions created by any protestors. And they do it profoundly well. 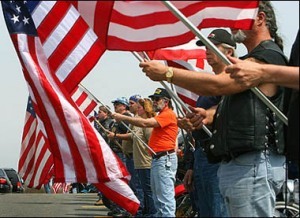 Patriot Guard was started in August 2005 by American Legion riders in Kansas, in response to Westboro Baptist Church protestors who had started showing up at military funerals carrying horrific, hateful signs. 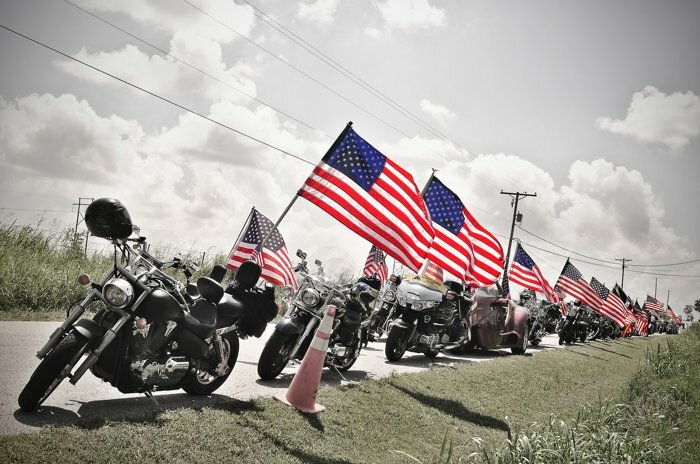 So those American Legion motorcyclists took it upon themselves to ride into the funerals on their huge bikes carrying enormous American flags, and simply create an impentrable wall of safety between the protestors and funeral attendees. 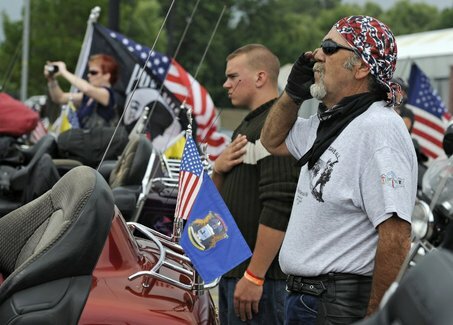 At a family’s moment of grief, Patriot Guard Riders show up and show out to pay stirring tribute to the fallen soldier or an aging vet – a phalanx of warriors so big, stern, imposing, serious, stalwart and invincible, it sends chills down your spine. 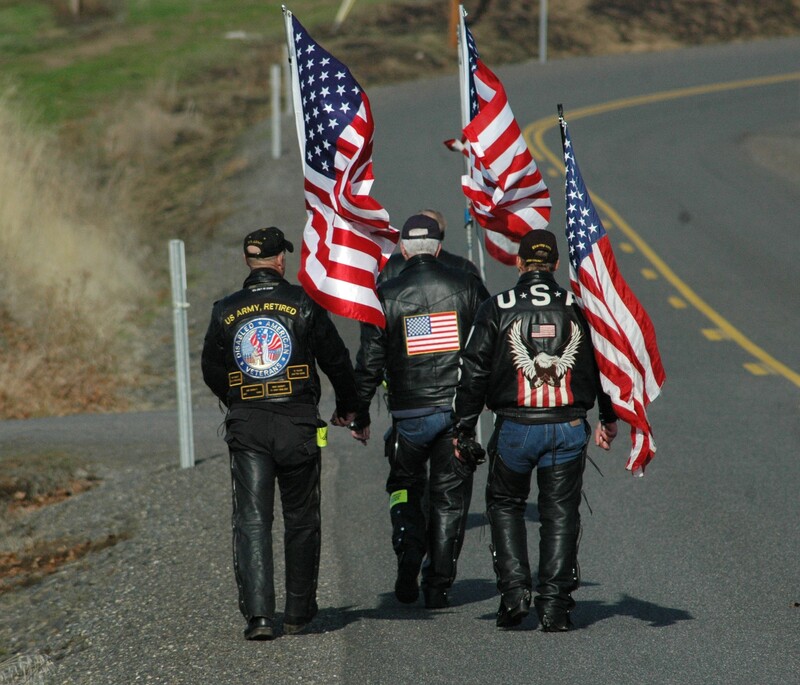 They ride in the fiercest heat, brutal cold and driving rain – every one a volunteer who shows up in true colors to honor the fallen, making sure the sacrifice of a life in the service of our country will never go unnoticed or be forgotten. Thank you Betty for supporting the PGR. They are a great organization! Thank you for the kind words on what we do. This has never been about us, but what we do……. It amazes me that people would show up to protest at a funeral. The loss of another priceless life and the morality of the war in which that life was lost are two completely separate issues. Thank you, Betty. As with most of your posts, this one educated me.